Witnesses wrote on social networks that they heard a voice message blaring out of the metro’s speakers, telling them to remain calm and stating that the escalators were only moving downwards. The air alarm in Moscow’s metro sounded in several stations by mistake on the morning of April 27. "There was an intermittent technical failure during the alert equipment adjustment, it lasted for five to seven minutes," said the metro’s press secretary Andrey Kruzhilin, reports the M24.ru web-site. "In the metro a calm male voice was announcing loudly: ‘Attention passengers, the city has declared an air alarm, stay in the metro, all the escalators work downstairs only,’ “ wrote Facebook user Marina Tarabrina. Another Facebook user, Larisa Mokshina, wrote that she heard the following warning: "Attention! The metro is open only for entry! Be vigilant." The website Life.ru has published a video recording of the announcement of the air alert. According to Business FM, the announcement was made in Paveletskaya station. Meduza reported that the alarm was heard in the underpass between Lubyanka and Kuznetsky Most stations. 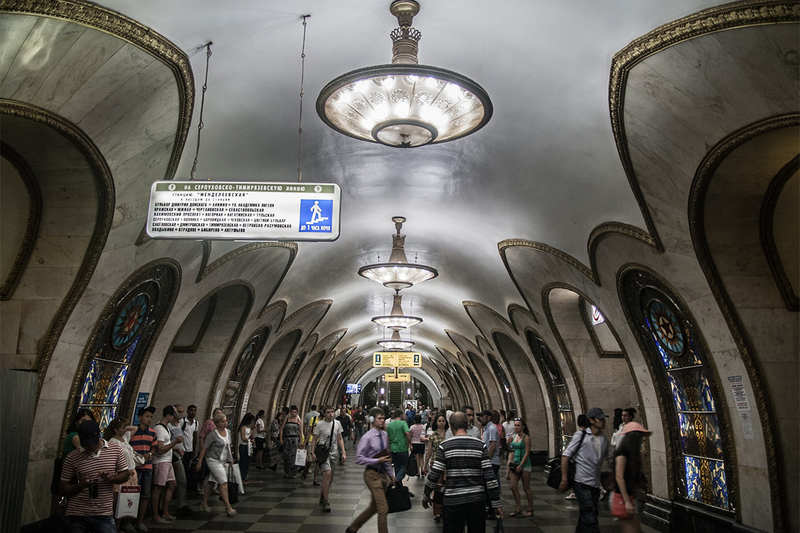 Kruzhalin said that all the station escalators now work normally.